Welcome to The Peanut Guy - A remarkable shop where you can order fresh boiled peanuts online and in person! Here at The Peanut Guy, we are serious about making the best peanuts for consumers. We are not just talking about the average pack of peanut that you see in the grocery store. Rather, we have a special system meant to ensure that everyone gets freshly boiled delicious peanuts. This process is so delicate that we consider it real art. Even if you have placed a single order or bulk orders for your friends, we will get the peanuts to you safely. When it comes to flavor, our peanuts can go beyond your expectations. Every crunch releases the flavor, and your hands can never get enough of the peanuts. It's even understandable if you order multiple peanut packs at a time. If you like freebies, we won't disappoint you. For every order, you can get a free bumper sticker. This sticker will only be included if you have written "include bumper sticker" in special instructions. Aside from this freebie, we also have a special discount club opportunity. If you want to save money and enjoy peanuts at the same time, The Peanut Guy club is meant for you. Of course, you can opt out of this membership anytime you want. When it comes to prices, The Peanut Guy is one of the best options in the market today. We promise quality that matches the price, and perhaps even a greater value! We are sure that you don't want a cheap product that has a cheap quality, right? 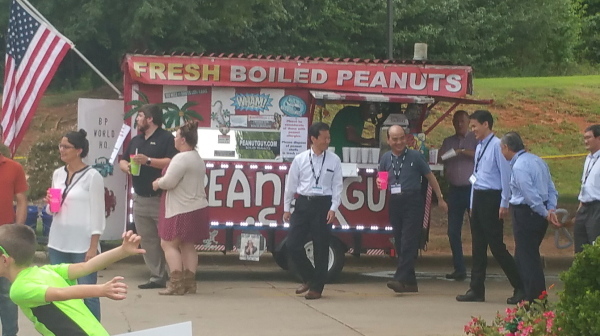 The Peanut Guy is all about premium value, and that's what you will get with every order of the best boiled peanuts online! You no longer have to endure low-quality and almost saddening boiled peanuts. 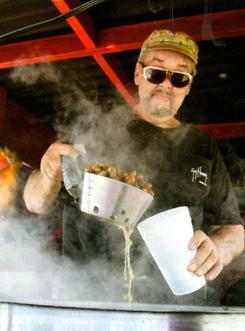 The Peanut Guy is just one call away for the best boiled peanuts online!